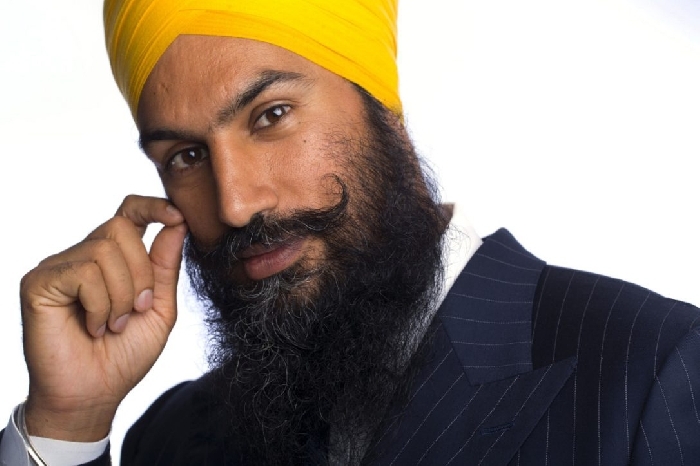 New federal NDP leader Jagmeet Singh refused to condemn terrorist Talwinder Singh Parmar, the man behind the bombing of Air India Flight 182, which had bombs placed aboard in Toronto, in which 329 people were killed. Parmar was killed by Indian police in 1992, but many in Canada's Sikh community worship him as a martyr. In 1985, Parmar and Inderjit Singh Reyat were arrested by the RCMP on explosive charges, linking the two to the Air India bombing. The Commission of Inquiry into the Investigation of the Bombing of Air India Flight 182 concluded that Talwinder Singh Parmar "is now believed that he was the leader of the conspiracy to bomb Air India flights"
Jagmeet Singh was asked by Terry Milewski on CBC’s Power and Politics Monday if he would condemn the hero worship of Talwinder Singh Parmar in light of the fact that he was responsible for the largest mass murder in Canadian history - 284 of the 329 people killed were Canadian citizens. Singh didn't answer the question, but spoke about Hindu-Sikh relations.